A Solar System and Cosmos Filled With Life? – A reflection upon Ben Bova’s “Farside” and “New Earth” | J.W. 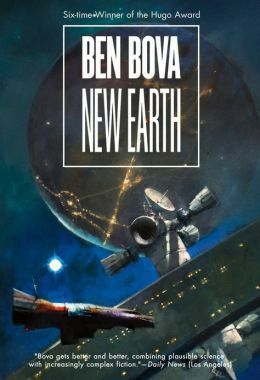 Wartick -"Always Have a Reason"
Ben Bova’s contributions to science fiction are monumental. A six-tme Hugo Award winner (!! ), he is established as one of the most successful and entertaining authors of our time. I have quite enjoyed a number of his works, though I have at times been critical of his portrayal of religion. Bova’s major series, the “Grand Tour,” follows human exploration of the solar system (and at some points, beyond). The series is constructed in such a way as to not require readers to follow it chronologically. They are interlinked and interrelated, but not interdependent. Here, we’ll look at two recent books in this series which look at the discovery of an Earth-like planet. There will, of course, be major plot SPOILERS for both books in what follows. After telescopes on Earth discover an Earth-sized planet relatively local to our own Solar System (ten light years away), the race is on to learn more about this planet. Farside portrays the struggles of a number of people in their efforts to build an observation base on the dark side of the moon. Jason Uhlrich seeks his Nobel Prize in his attempts to be the first to observe and chart the planet. Life has already been found within the Solar System, and now two rivals rush to be the first to discover it in the great beyond of the stars. What is interesting is to note some of the assumptions that go into Bova’s characterization of life beyond Earth. First, one primary assumption seems to be that where there is water, there must be life. Second, life should be expected in all corners of the universe. These assumptions are the subjects of much debate within the scientific community around the possibility of life on other planets and the origin of life. Regarding the former, there are those who do believe that life will be found in abundance throughout the universe. After all, given that we exist, life cannot be all that improbable, right? The other primary way of thinking is to argue that life is, in fact, quite rare in the universe and our own existence is a wonderfully improbable jackpot win. New Earth picks up some time after the events of Farside. Humanity has sent an expedition to “New Earth.” Upon arrival, there is a great mystery: “New Earth” is eerily like Earth itself. It turns out that a machine known as a “predecessor” has created the planet and grown these human-like aliens as a way to break it to humanity that there is, in fact, more intelligent life “out there.” Moreover, there is a catastrophic event coming towards the whole arm of the Milky Way which will wipe out these intelligent species, and humanity needs to help preserve themselves and the other species. Though skeptical, ultimately all the members of the expedition are convinced, and the book ends with the message reaching Earth and the gearing up to proceed on this mission given by the Predecessor. There are, of course, any number of things that one could nitpick regarding the plausibility of the scenarios Bova envisions (one would be the rewiring of Uhlrich’s brain to “see” via hearing and touch… how does that work? ), but here we’ll focus on two aspects of the work: the plausibility of life outside Earth and the mythos of the benevolent alien. In Farside, readers who haven’t surveyed the body of Bova’s work discover that the Solar System itself teems with life: life once flourished on Mars, and its vestiges remain; on Jupiter, creatures soar in the skies; life is found elsewhere throughout the System. Bova’s vision of the origin of life seems to be that if there’s water, there may be life. Yet one has to wonder about the plausibility of life forming on a planet like Jupiter. How might biochemical interactions with delicate balances of material be maintained for long? What of the distance to the sun? The origin of life requires all kinds of factors to be “just right” and it simply is not enough to fudge the numbers by saying “It could have happened this way.” To develop a hypothesis around ad hoc assumptions is faulty. Intelligent life, as explicated in New Earth, is even more problematic. It is easier to have single celled organisms than to have the complexity needed for intelligence. Even granting a naturalistic scenario, the conditions must be even more tuned for life and allow for the nurturing of that life for extremely long periods of time. The universe is indeed huge beyond belief but one has to wonder if even that immensity is enough to repeat the conditions which occur on Earth. Of course, in the end, one must acknowledge that these are tales of science fiction, not proposals about how science fact might be. There is a certain sense of awe and wonder involved in considering whether life could exist all over the Solar System. It seems to me, however, that if that is the case, it probably got there by means of Earth–blown off the surface of our planet by an asteroid and traveled through space to Mars and possibly beyond. Another major theme found in both books is what I dubbed the “Myth of the Benevolent Alien.” There is a kind of pervasive battle in science fiction between the notions that aliens want us dead or that aliens are going to be ultimately some kind of saviors of humankind. New Earth brings this benevolence front and center: some unknown life form created these “Predecessors” to find and aid intelligent life. It’s a scenario filled with wonder and hope. But it’s also a scenario which I’ve found time and again in materialistic literature. The way this story goes: wherever possible, life is certain. It’s a kind of appeal to a fantasy of a godless universe wherein it may be possible to find hope and meaning in the stars. As one character (I believe it is Grant) said in Farside: Ad astra! (To the stars!). Second, the actual inherent implausibility of life both leads to this longing (we don’t want to be alone) and to a search for meaning (how did we get here?). My own answer is that theism provides a more plausible explanation of both the longing for meaning, meaning itself, and the way in which life arose. Interestingly, however, the atheistic accusation that theists are engaged in wishful thinking is perhaps mirrored through various declarations made by naturalists themselves (see the post linked above and in the links below). Bova’s novels thus serve as a way forward in this discussion. By illustrating our longing and loneliness through the fulfillment of our desires (the discovery of life and the notion that we are not alone), Bova grants readers their wishes. However, we ultimately come to realize that these are indeed just wishes. Perhaps, one day, a “New Earth” will be discovered. But even if that happens, it will not be enough to satisfy our loneliness, nor will it answer our ultimate questions. Theism is the ultimate antidote to loneliness, the ultimate answer for our questions. 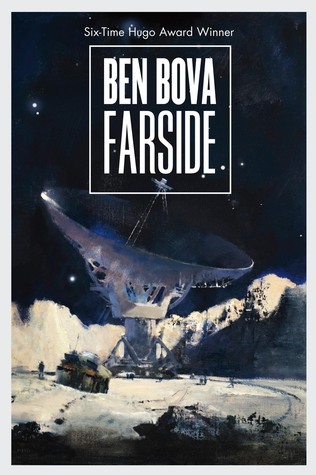 Ben Bova, Farside (New York: Tor, 2013). « Sunday Quote: Do we need to agree with past thinkers?